A sock for every man. IT’S TIME FOR A REVOLUTION OF COOL SOCKS. 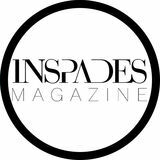 © All images, text, logo and content of InSpades Magazine or Creative Spades properties is under the Copyright Laws of Canada. Any reproduction strictly prohibited. All rights reserved. As someone who spends so much time with words, it is only a matter of time before you learn that there simply aren’t words for everything. Emotions, the language of the soul, birth from unknown places, places where words have yet to form and may never. We may like words, we may crave explanation or excuse, but all the things that matter most - the things that break us, exalt us and change us forever - carry no syllables or syntax. Just because I know a lot of words does not mean I am not at a loss for them constantly. But just as constantly, I am searching for them. I love to read because, often, others have the words for the things I do not. The words I cannot find the means to muster, cannot divine or claim for myself, but endlessly long for. The Exotic Creativity â&#x20AC;&#x153;In them, I see a familiarity, a place that is so beautiful, that has recognizable features, but somewhere I feel alien.â&#x20AC;? here is no such thing as a timestamp that sets the standard for how long a work of art should take to produce. Whether photography forms after fifteen minutes of tapping on a mobile app or months of tweaking and tedious labour, the calibre of a finished product transcends the measure of time. For f ine art photographer Alice Zilberberg, the production of her exquisite photography is measured in moments and experiences, not hours or months. She adjusts her attention to f it the needs of each individual project, patiently cultivating her art with lived emotional experience, rather than force of will. conflicted relationship with Israel and Canada, and the notion of ‘home’. Having relocated throughout her youth, Zilberberg continues to globe trot for her work, often relying on exotic landscapes for her shooting locations. “The challenge is to get the lighting and weather right,” she explains to INSPADES, adding that the best time to shoot is at sunrise or sunset. “Sometimes it can be difficult if it rains, or if it’s too sunny. If the weather is not right, then I’ll go back on a different day.” For the right shot, time is a worthy investment. When it comes to her creative process, each work is unique and can sometimes take a year to deliver. “I try to learn as much as possible during that time,” Zilberberg divulges, “engaging with art galleries, history, podcasts and traveling.” A fter much research for a project, Zilberberg’s background in fine arts plays a key role in sketching her projects, or simply testing different images digitally to see if envisioned manipulations are feasible. Next, Zilberberg tests the desired location before inviting the model for the official shoot. For some projects, she will shoot the model and other elements, such as props or setting, on separate occasions; they are pieced together digitally during post-production. â&#x20AC;&#x153;After shooting I could spend weeks or months putting the pieces together, along with colouring, toning and painting digitally.â&#x20AC;? “After shooting I could spend weeks or months putting the pieces together, along with colouring, toning, and painting digitally,” Zilberberg explains. At last, when the piece is finalized, she enters the printing process to ensure that her artwork is enhanced by the most flattering paper and framing options. Living as a professional photographer, Zilberberg’s journey began with drawing and painting at a young age. Her interest in digital illustration and image manipulation developed before she discovered photography, preparing Zilberberg for her career as a digital artist. After earning a Bachelor of Fine Arts from Toronto’s Ryerson University in 2011, Zilberberg slowly made a name for herself. She began by working as a retouching freelancer, but also kept a foot in the door with other artists. “I worked with other photographers and tried to immerse myself in the art community as much as possible while giving my art the time it needed to grow,” she recalls. Today Zilberberg has created a business from her art, successfully blending traditional photography with digital illustration to achieve elements of surrealism. Having expanded on her reputation with awards, gallery exhibitions, auction houses, publications and international collections, Zilberberg continues to explore the globe for creative inspiration and is currently exploring themes of mortality and existentialism in her next artistic endeavour. met with the term globalization, most people associate the concept with international trade, the benefits of cultural sharing, multilingualism and other colourful perks – like the downtown region of a city where Indian, Thai, Japanese, Greek and endless other ethnic foods are conveniently found in one place. When Italian photographer Antonio Ruggiero contemplates globalization, he ponders the deterioration of human connection – the performed happiness of crazed consumers and the solitary, individualistic aftermath of ongoing materialism. “We all live the same miserable condition, the same fate,” Ruggiero confides, “We’re living in a globalized era where everyone’s worth is expressed by money, bitcoins and stock index. It inspires a feeling of isolation and desperation that we all feel deep down, but nobody seems to recognize or address it.” In Ruggiero’s most recent photography series, a sophisticated woman wearing sombre colour tones is positioned with a stoic, straight posture throughout an abandoned industrial space. Her sleek appearance oddly displaces her presence within the deteriorating space – yet it is this juxtaposition of her expressionless poise amid the urban ruins that delivers a striking edge to the series. “The idea of beauty surrounded and penetrated by deep solitude and moral death inspired this photographic series,” says Ruggiero, “The materialism accompanying globalization allows us to hide something perverse within us – unhappiness. I like to throw it in everyone’s face by showing the unhappiness in a beautiful woman’s eyes,” he concludes. The female subject in Ruggiero’s series finds herself lonely in the void space of an abandoned building – her beauty reflecting the values of materialism while the building signifies the crumbling integrity of consumers. In addition to seeking reprieve from the materialistic values of general global society, Ruggiero prefers working with amateur models. He finds that their facial expressions are more refreshing and honest; unlike professional models, casual models have not perfected the technique of guarding and controlling their expressive mannerisms, allowing an air of authenticity to permeate the relationship between photographer and subject. “I’m generally skeptical about professional models because I don’t believe in posing with fake emotions. Critical observers will feel it in the photograph. I like to work with the ‘girl next door’ type,” Ruggiero confides. With a background in expressionist painting, Ruggiero’s discovery of photography was serendipitous. “I found a Kodak camera for sale for a discount. I bought it just to experiment, to try something new,” he recalls. Ruggiero began to play with selfportraiture as a new creative outlet and found a new favourite medium for unravelling his emotions. “It was by chance that I stopped painting and devoted myself to photography.” Currently, Ruggiero is working on a new project, but he’s keeping mum about it. “I’m a little superstitious,” he admits with a grin. Set for release in 2018, we’ll certainly be keeping an eye out for what this artistic photographer has in store. â&#x20AC;&#x153;I used to spend hours and hours developing and printing my negatives in the dark room. Seeing the picture appear beneath my hands was wonderful.â&#x20AC;? that photography and painting could be blended and that realization has determined my style.” Since converting to digital photography and post-production edits, Burra has embraced the benefits that programs like Photoshop have to offer, “It’s a wonderful opportunity to find a compromise between painting and photography in my portraits.” A lthough Burra works heavily with Photoshop today, her beginnings in f ilm photography prevent her from relying solely on digital editing software to perfect a piece. Photoshop can easily catalyze a photographer’s approach if they aren’t careful. An agent of change in a photographer’s method, Photoshop can either launch the photographer’s work into a new realm of possibility, as it did for Burra, or it can make the photographer negligent in their shooting technique. Summoning her artistic roots in painting and drawing, the digital age allowed Burra to revolutionize her creative approach and exceeded to a new level of expression. Translating reality into dreams and fantasies into tangible artwork, she has embraced digital photography and postproduction as her default artistic outlet. “Painting is visually dynamic, but it doesn’t allow you to capture the moment. Photography translates my more wild, passionate and restless visions into a single image,” she says. Working often with children in her professional and personal photography, Burra captures the most honest and innocent elements of humanity through their facial expressions. “Children are readable,” she claims, “Their souls are candid—not shielded with disingenuous superstructures.” For Burra, children represent the resilient dreamer. Having yet to face the jaded reality of failure, disappointment or challenge, children firmly believe that their dreams can be manifested. This belief branches not from stubborn delusion, but rather from the naïve simplicity of a mind not yet tarnished. “For me, children walk a white road. They are the pure element that lives in an abstract, timeless reality.” As their understanding of the world develops, children lack the ability to fully mask their inner experience. For Burra, this makes their vulnerability the perfect window into the human experience in all its simplicity, before the complex perceptions of the “real world” arrive to warp their perspective. From the town of Grado, Italy, Burra continues to produce stunning portraiture and digital illustrations to rival the masters. Her current experimentation with the graphics program, Cinema 4D, promises a new level of creativity from this remarkable artist. Photo by Chad Pilkington for Benjamin’s Whisky & Pine Tour promo. fiddle flares amidst a poetic ballad with passionate precision, the strings singing with traditional folk music, seeded with east coast inf luence. Benjamin Dakota Rogers, relaxes the bow in his hand. His voice — gritty and evoking — fills the space, pulling at parts of you from the inside, parts you didn’t even know you had. A multi-instrumentalist, singer-songwriter and composer, Rogers — with his captivating storytelling — marries poetic lyrics with lively fiddle and brisk guitar compositions, creating songs that are, at times, both heart-wrenching and explosive. “I feel like being on stage and getting to perform for an audience willing to listen and participate is always a gift, but I also love being in the studio and getting to build music and just experiment,” says Rogers. six in the top ten albums of 2016 at Folk Roots Radio. “Receiving recognition for my music is amazing,” Rogers admits , “When you submit to competitions you never know who you are up against or what they are looking for. I have been really fortunate that what I have created so far has been worthy of recognition.” Benjamin is currently on tour promoting his latest album, Whisky & Pine, a collection he ref lects on differently from his first two albums. In Wayfarer, written when Rogers was 18-years-old, he did not play the guitar yet, and all the songs were written on mandolin or tenor guitar and translated to his producer who played the guitar tracks for the album. To play live and tour on his own, Rogers realized he would have to learn the guitar for Wayfarer, a primarily guitar-based album. â&#x20AC;&#x153;I think the biggest difference between my first two albums and Whisky & Pine, and the one being recorded now, is that now the songs are me.â&#x20AC;? Aryna Pushkevichâ&#x20AC;&#x2122;s bold and beautiful fashion photography from the small photographic spread that concluded INSPADES Magazineâ&#x20AC;&#x2122;s Issue Quattro. While Pushkevich was, at the time, unavailable for interview due to her travels, we could not resist slipping in a few of her striking images. Now that she has returned to her home in Minsk, Belarus, we have been able to get the full story behind this extremely talented and fashionforward photographer. of developing film and how to print photographs. I worked mostly in the portrait genre, which is my favourite to this day. I shot more with a digital camera because film photography was, and is, expensive in our country, and not all materials are readily available.â&#x20AC;? â&#x20AC;&#x153;I plan to move to Europe and I hope that there will be time and inspiration for further development. I think that any real photographer is constantly finding themselves and evolving throughout their life, working on their own style, filling their work with meaning and content, and is dedicated to their work entirely. Thatâ&#x20AC;&#x2122;s what I strive for.â&#x20AC;? uivering, piercing and penetrating, the sound of singing strings flows energetically from a television set. A young girl listens, mesmerized, watching as a “stick” pours, sometimes furiously, sometimes soothingly, over a pear-shaped instrument. Barely passed her toddlerhood, Victoria Yeh, not yet knowing the name of the instrument that was inexplicably calling to her, had to wait until she saw a picture of a girl playing the violin in a newspaper before she could declare to her mother, “I want to play ‘that’!” Her classical lessons began at the tender age of four, and from that moment on, Victoria Yeh could not imagine her life without her beloved violin. However, in the years to come, Yeh would find herself facing many things she never imagined. guidance to help her through her difficult journey, resulting in the completion of certified training in both Reiki and yoga. Having sold her house, Yeh will be moving into a yurt this fall. Her plans include building a sustainable, passive off-grid house with an integrated greenhouse and space for house concerts and yoga sessions. Having not only survived but thrived through the most traumatic times of her life, Yeh serves as an inspiration, a living symbol of the triumph of the human spirit. “I try my best to live day by day and to seize opportunities as they arise. When truly wonderful things have happened in my life, they have always been the times where I’ve been living true to my heart and to my art,” muses Yeh. “The times when I’ve known what was important to me and was open to any path and opportunity that presented itself. So, in terms of my music career, I really have no clue what the future holds for me because I’m sure that my present-self is incapable of even conceiving the possibilities that will one day present themselves.” Victoria Yeh is a Toronto-based acoustic and electric violinist, having performed across Canada from coast to coast. Classically trained, Victoria studied under many teachers including the late Ranald Shean (founding member ESO), Broderyck Olson (Assistant Concertmaster, ESO), Frank Ho (Grant MacEwen College), Martin Riseley (former Concertmaster, ESO), Christian Howes (former Asst Professor, Berklee College of Music), and the late Jacques Israelievitch (former Concertmaster, TSO). You can find a full show listing posted on her website victoriayeh.com To donate to Brazil Strings and help at-risk children receive access to both music and hope, please click here to go to their FundRazr site and make a difference today! Playful Tableaus & Cute Couture Any moment, even if it seems insignificant, can be inspiring. Blending natural objects such as f lowers, leaves, twigs, fruits and vegetables, and manmade objects such as buttons, clips, cotton, matchboxes and confetti, with adorably detailed cartoon drawings or realistic portraits, his creations range from beautiful to endearing, but always intricate in their simplicity and exquisitely captivating. “Many people tell me that I always bring them a smile with my works and that they transmit calm and tranquility,” says Ortiz, “I am very direct in my work, I like to show a little, but to transmit a lot. Simplicity and playing with colours fascinates me.” One glance at his portfolio and the expanse of his creative well is inarguably apparent. To create such pieces, one must look at everyday items in unique ways that have yet to be expressed by their current being or use: a rose becomes a hat and the eyebrows of a lady’s face; a hot pepper becomes a smiling gnome’s conical hat; a hibiscus head becomes the horn of an old gramophone; a pinch clip becomes the head of a pet alligator. Married with talented drawing abilities, Ortiz orchestrates simple, playful tableaus and cute couture that immediately captures your attention and your heart. and find — or create — that perfect gift to tug at the heartstrings of that special someone! takes the stage. His peaceful presence and first words into the microphone grab the audience’s attention. His voice, like “gravel on silk”, is smooth and husky, wrapped in a warm familiarity like an old friend calling on you to wish you well. He eases into his first song, and the feeling is one of immediate captivation. Remnants of Richie Havens, Tracy Chapman and Ray LaMontagne linger throughout the performance, but cannot speak to AHI’s signature sound, uniquely his own and passionately performed. In an exclusive INSPADES interview, this rare and burgeoning musical star shares his thoughts on the art of singing, the importance of family, dreaming in music and aligning with your life’s purpose. Where do you get inspiration for your songwriting and musical composition? You have said you prefer passion over precision, can you elaborate on that? What have been some of your greatest challenges and successes working in the industry? “For me, the biggest challenge has been networking. I can be very social when it feels right and I think I’m a pretty likeable person, but I often just want to sit in my room all day writing songs and daydreaming. I’m not too fond of all the industry schmoozing because I don’t really fit the mold most people in the industry are used to, so it’s hard to communicate that in a first impression elevator pitch conversation. I’m way better at it now, but I’d really just prefer my music to speak for itself. This is a relationship-driven industry though, and there is no success without making the right connections. My success is that I’m doing me. When people discover me, they are discovering something wholly unique and true to self. It’s refreshing not only for them but for me as well. I hope that people get lost in my music the way I and so many others have gotten lost in Bob Marley or 2Pac’s music. I truly feel like I’ve found a way to break through the noise without compromising my integrity.” You’ve toured quite a bit. What were some of your favourite experiences? “There are so many! But what I’m finding is that the more I tour the better everything is getting. My career is growing exponentially every day, so you might have to come and find me in ten years and ask me this question again. This project is funded in part by FACTOR, the Government of Canada and Canada’s private radio broadcasters. Ce projet est ﬁnancé en partie par FACTOR, le gouvernement du Canada et les radiodiffuseurs privés du Canada. he has since been recognized and awarded by Folk Alliance International, Nashville Songwriters Association International, the Songwriters Association of Canada, and the Canada Council for the Arts, among others. For his debut full-length album, We Made It Through The Wreckage (2017), AHI has collaborated with CMA winning producer Eric Masse (Miranda Lambert) to create what Masse has called an entirely “new genre”, blending folk, soul and rock, and topping it off with a vocal performance to be expected from a seasoned powerhouse rather than an indie debut. The feel-good single “Ol’ Sweet Day” broke the Billboard Spotify Viral 50 Chart and hit #34 on the U.S. Viral 50 without any promotion or marketing. The track took off on playlists worldwide and surpassed 1 million streams; a rare feat for an artist yet to make his mark. Now a 2017 finalist in the Allan Slaight JUNO Master Class, it’s not hard to see why AHI is one of Canada’s most promising emerging acts. SOUL STYLING â&#x20AC;&#x153;When I am up on stage, I know my purpose: to anchor the light and elevate the collective consciousness. My voice is a gift that I know carries healing vibrations, and this is why I need to share it.â&#x20AC;? reestyling and free-flowing melodies from the heart, Alexandria Santaguida channels her music, allowing it to move through her as though she is the instrument creating, purely from feeling, complete songs without chords. Later, adding lyrics and working with producers to put chords to her sweet melodies, Alexandria’s creative process proves to be a gift that pours forth freely from her soul. “I had always been a performer - my mom said I was singing before I was talking. I danced as a child, played the violin and never missed a moment to put on a performance in the living room for whatever guests my parents had over. I had been writing poetry and songs since I can remember - entering poetry contests as young as age 10.” Though blessed with a loving family, Alexandria’s love of performance would have to take a backseat to her family’s ambitions for her future. A career in performance was not something her parents were able to understand, insisting she was to pursue a university degree in something more traditional. Following the “rules” Alexandria continued her schooling at McGill University in Montreal, with arts as only an extracurricular activity. Although her parents did support her other ambitions by providing her with singing lessons, Alexandria could not resonate with any of her voice coaches, and so abandoned any formal vocal training. However, Alexandria had begun making friends with students in the music program at McGill and, with one such friend from her choir elective, she produced her first recordings sitting in a bedroom with just a laptop and a USB microphone. “With no vocal training at this point, I had recorded two covers and we brought to life my first original,” recounts Alexandria, “I had sung out the chords to him and he taught me how to make harmonies. I sent those three songs back to my family in Toronto and, if not for the words of encouragement from my older sister, I would’ve overlooked these recordings completely.” That summer, Alexandria found out about a studio that would host a weekly music industry social gathering. Taking a chance, she ventured out, and ended up networking and meeting people in the music scene. After the event, Alexandria sat down with the studio’s main producers and played them the 4 tracks she had recorded at the time. Liking what they heard, they took her in, having her write some of their tracks. “They gave me the chance and opportunity to create, to dive into songwriting and I recorded for the first time in a real studio set up with them,” recalls Alexandria, “I made two EP records with them and I met many amazing people. It set me off on my musical journey.” With the summer ending and the start of school fast approaching, Alexandria was coming up on a difficult choice to make, and though it was made more difficult by something else she was going through, it also ended up making the decision unequivocal. “I was moving through some deep depression and mental illness that made left me with a choice: stay or go. Either live and walk my purpose or leave this planet. Somewhere inside of me, I found the strength to stay and began my spiritual awakening.” Feeling that had she not stayed, all that she learned and the relationships she had formed would’ve been for nothing. It took all of her courage, but she chose to defer school only three weeks before classes resumed. ALEXANDRIA also teaches yoga, runs wellness events with NU LOVE (@nulovecommunity), performs energy healing, teaches mediation and runs sound healing sessions. She is also passionate about animal rescue and has created a wellness program for dogs: Zen Dog Wellness (@zendogswellness), which helps to people to heal and bond with their dogs. Woods’ prior occupations included working with individuals with special needs. He also has a background in sales and has always wanted to start his own business. Woods has a passion for working with people and amongst the team, he is considered “the face” of Uptown Sox. Wright comes from a design and art background. She has a bachelor’s degree in interior design and a master’s degree in architecture. She has always emerged herself in design, art, colour theory and fashion. Wright typically works behind the scenes on the designs and creative aspects of the brand. Saeed has a background in business and has studied business accounting at Algonquin College. He is known for his dynamic people skills and has previously managed a highprofile restaurant in Fort McMurray, Alberta. Saeed offers his expertise to the business and works strategically with sales and operations. â&#x20AC;&#x153;I remember when I was a little girl, the whole world around me was inviolable, opened and painted in pink tones. Blossom Twins reveals to us the world of little girls who stay somewhere on the edge. When children grow up, things change.â&#x20AC;? It seems that Dolgorukova serves a dual purpose as both photographer and spirit-lifter, for she works to help each of her models realize their own unique exquisiteness, delighting and celebrating their unique so-called imperfections that speak to her humanity. In creating Light Inside, Dolgorukova had the clear intention of capturing the ability of dance to transcend language as “conversation between souls, showing the light and strength within.” Dolgorukova’s appreciation of beauty is not limited to fashion. In her day-to-day life, she attempts to find inspiration whilst witnessing the special moments that life brings. “Every day I try to find things, moments or even people that inspire me. A man who helps a beggar. A street musician who performs a song. A loving couple walking under one umbrella. Children who play and laugh.” Dolgorukova has many dreams and aspirations for her future career, but keeping her faith in people, continuing to see – and capture with her camera – the natural goodness in humanity is of paramount importance to her work. “People are far more conscious and reluctant to be photographed by strangers than they were when I was photographing them in the early-80s.” In 2012, street photographer and portraitist Gun Roze uncovered a series of colour negatives contained in his archives. Hidden for 30 years before the point of rediscovery, Roze recognized them as images he shot in Manhattan in 1982. With captivating subjects and unavoidable highlights of the bold, colourful and experimental fashion of the time, these gritty 80s images are an unadulterated look at bustling New Yorkers in their everyday lives. Encouraged by his friends, Roze resurrected the forgotten images for a gallery showing and has begun production on his book entitled: Manhattan 1982. A Toronto-born and based photographer, Roze has worked in professional photography labs in Toronto, Vancouver and New York City over the past 35 years. He considers this broad experience to be his most valuable source of information and experimentation, and learning from the mistakes of both himself and others has led him to his unique perspectives as a photographer. accessibility and the image quality that closely resembles the grainy early-80s film look. When I moved back to Toronto in 2015, I wasn’t sure that I could continue with my daily street-based practice, and people were far more conscious and reluctant to be photographed by strangers than they were when I was photographing in the early80s; however, it is my passion for street photography that helps me rediscover and appreciate my hometown, which has changed greatly during my 20 years living elsewhere — so I make sure my little camera is with me at all times,” smiles Roze. In 2013, three of Roze’s street portraits made their debut in New York City at a group show with ClampArt and, in 2015, a solo show was exhibited in Toronto at Akasha Art Projects. Thanks to social media, Roze’s posted images have gained a worldwide appreciation and following. His photography and method remind us of something simple that the digital realm of photography and post-production can sometimes forget — the way you feel when you click the button and capture the moment. More than just the beauty or merit of an image, Roze instills the deep sense of the photographer themselves, moving with a fluid interaction throughout their world, capturing unique moments that, so fleeting, can disappear in a mere millisecond. He reminds us that a photographer lives for the moment, a moment so thrilling when caught because it could have been lost just as easily. â&#x20AC;&#x153;My cultural background is Nigerian, and growing up in a Nigerian household within the Canadian/ Western culture was a really interesting experience; I identify very strongly with being Canadian, but my Nigerian roots have definitely helped to shape who I am.â&#x20AC;? I can’t produce music, I rely on a producer, musician or instrumentalist to create the actual music for me. Once I’ve got a track, then I can get to work.” To create her songs, Uyoka retreats from the chaos and speed of the city to look inwards: “During my writing process, I like to be alone with the music in a quiet place and allow the music to speak to me. We live in such an incredibly vast and ever-changing world, no matter how long we live, I don’t think we can ever really know it all. With a new album and budding musical career under her belt, Uyoka will continue to produce tracks with uncompromising integrity, filled with meaningful lyrics and beautiful rhythms. â&#x20AC;&#x153;I realized how much power sneakers have, not only as a consumer good but as a driver to make people do things they are uncomfortable with.â&#x20AC;? is a movement that uses art on sneakers as an outlet for artists and creatives to showcase their work. The mentorship process we are working towards is to build a circle of influence for their followers to plug into. They hold a series of events for all different stages, but the main goal is to establish a community where everyone involved can be a resource for one another and bridge gaps within the arts. aughing over drinks, a would-be artist picks up a paintbrush for the f irst time. Smoothing paint over a canvas in unfamiliar brushstrokes, a beautiful scene begins to emerge. Two hours later, the vision is complete with trees reaching for the sky in a technicolour swirl towards the sun and, in an instant, a new creative soul is born. In recent years, painting parties have become all the craze, inspiring professional painters, never-touched-a-brush novices and everyone in between. A session is typically two-hours long, and participants gather at a venue for an evening of painting and drinking - no experience necessary. The host company provides easels, paint, brushes, smocks and fun, interactive instruction for creating a one-of-akind art piece that the participant can then take home. The first of the paint-and-sip parties originated in New Orleans by a pair of moms, Cathy Deano and Renee Maloney, who created Painting With A Twist, as a way to help rebuild their community and raise morale after the devastation of Hurricane Katrina. While they remain the largest proprietor in the painting party realm, many fun franchises of the paintand-drink variety have sprung up across North America. We sat down with Susan and Gary Parker, the husband and wife team that brought to life one such franchise, Paint and Cocktails, for a deeper look into the undeniable allure of the wildly creative social phenomenon that is sweeping nation after nation. its execution. So over the course of the night, I found myself concentrating less on my painting and more time analyzing what and how I would do things differently. By the end of the evening, I had worked out a complete business model in my head. I got home and told Gary. His response? ‘Let’s do it!’ The rest is history. While it is a niche business, there is also existing competition. How did the business develop over time and what strategies did you use to get yourself out there? It is always a challenge to start a business from the ground up. If your funds are limited, you find that you are every department - IT, finance, HR, legal, marketing and customer service! It is easy to get lost in the daily tasks and competing priorities. My advice is to take a step back regularly and reassess your priorities, ensuring that you are working on the right outputs that move the business forward. We learned and adapted our approach to venues and customers and marketing over time as we discovered what worked and what didn’t. The difference between a business owner and an entrepreneur is that the latter is nimble, willing to adapt and pivot to whatever the business and customers need from them at any given time. place an emphasis on the therapeutic benefit and personal empowerment found in creating, something people have left behind in their busy lives. It is so rewarding, for both us and the guests, to watch the transformation of painters from a doubtful and anxious start to a finished product that they are amazed by! After successfully completing a painting that they were convinced they couldn’t do, we ask: “What’s next? What other challenges have you been saying ‘no’ to?” In addition to drawing attention to the achievements of the group, we additionally strive to treat each guest as an individual. We ensure that we offer encouragement and point out some aspect of each person’s painting that is outstanding. People are always so critical of their own work, and it is our job to help them break through that protective wall and recognize what they have accomplished. What advice do you have for someone who thinks they can’t accomplish something they have never done? I think you need to ask yourself, “What is the worst thing that could happen?” We need to challenge ourselves in order to grow as individuals. So my advice is: just get out there and try something new! You’ll be glad you did! BECOME PART OF THE TEAM OUR FIRST GOAL PAY THE COVER ARTISTS! We strongly believe that artists should be paid, so we would like to give an honorarium of $500 CAD to the Cover Artists that will be featured, to give them a strong message that we believe in you and we love your work...and by “we” I mean all of us...YOU included! OUR SECOND GOAL PAY THE COVER ARTISTS and the 3 Featured Artists!! We would like to give an even larger honorarium of $700 CAD to the cover artist, PLUS give 3 Main Featured Artists $500 CAD each! Giving a leg up to the Little Guys...and the Big Ones! All around the world, there is incredible artistic talent and creative passion that goes unseen or unnoticed. In this digital era, months of work can apex with a few “likes” on Instagram before being lost forever in the vast seas of social media. Many of the up-and-coming artists in our magazine never thought they would make the page of any magazine and are over the moon to be provided a platform of credibility from which they can showcase their work. From talented hobbyists to seasoned professionals, whether they have thousands of followers or none at all, INSPADES Magazine has only a single criterion talent. 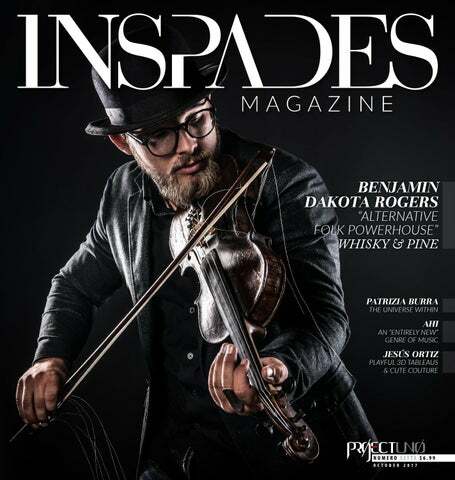 With in-depth artist and editorial features, incredible visuals and focus on turning everyday artists into superstars and showcasing their work on a global scale, INSPADES Magazine garners an especial esteem and appreciation within art communities all over the world! And now, we want to take it a step further! Become part of the INSPADES family by checking out our Patreon Rewards page today! Our new and upcoming video community showcases the best artists and creative talents the world has to offer! Tune into the INSPADES YouTube Channel for exclusive inter v iews, behind-the-scene looks and stories about fascinating people and their spectacular creative genius! We bring the creativity to you!